We are your local Letterpress studio dedicated to designing and printing your luxury wedding stationery. 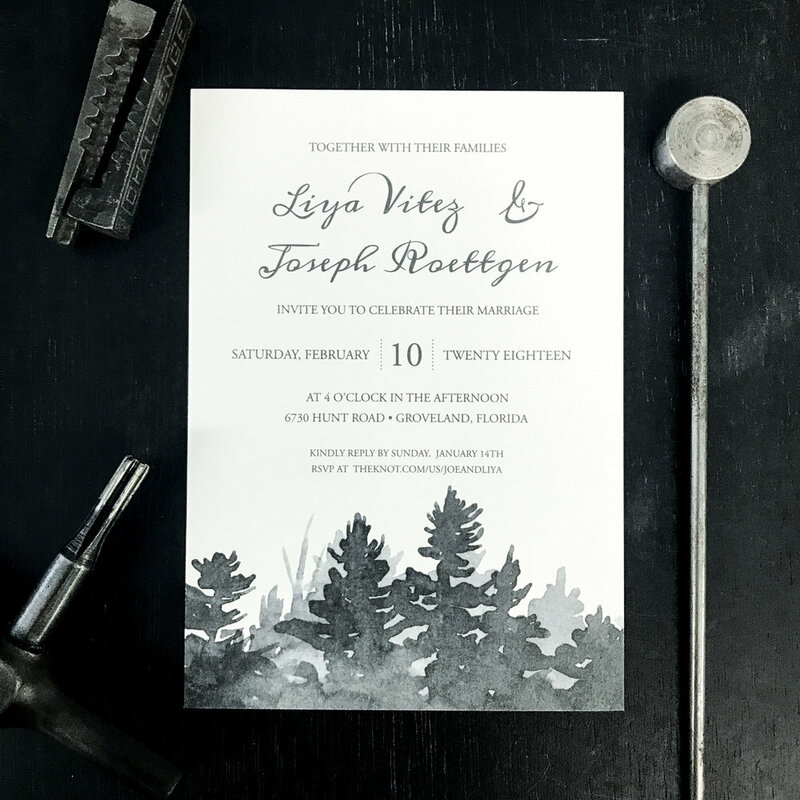 Letterpress printing on soft cotton paper gives your stationery a tactile and luxurious quality that cannot be produced with modern digital printing methods. 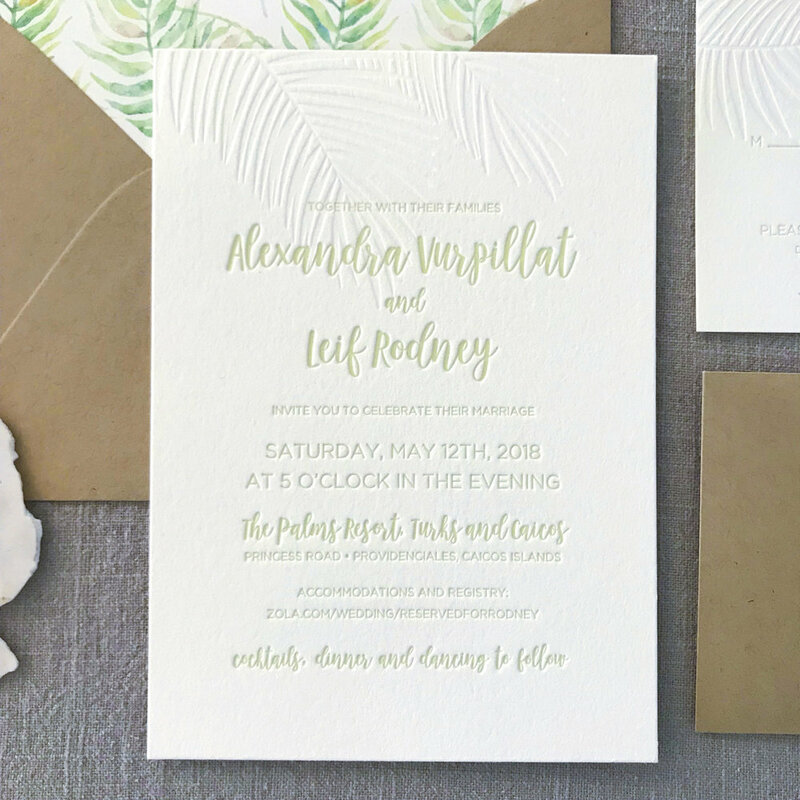 Our skilled printers put quality above anything else when it comes to creating your invitations, response cards, envelopes, thank you cards and other decorative elements. Get in touch or come see us today about creating your one-of-a-kind wedding suite that best conveys your vision. Let us design a custom stationery suite that is the perfect fit for your party or event! Come in for a free, zero-obligation consultation to look at samples, paper and to talk about the project you have in mind. Our custom design work starts at $50 and is paid before we can start on your designs. We will send you up to three different design ideas electronically (as a PDF or PNG) for you to consider. Once you select which direction you would like to take, you get three free rounds of revisions before moving onto production. Any additional revisions needed will be $15 per revision round. We usually get revisions back you in two business days. We advise allowing at least two weeks for the design process depending on number of pieces, complexity of design and your availability. Once the design is approved, we will order all the necessary materials and start production. Our standard turn around time is 10-15 business days. Rush orders can be accommodated for an additional fee and depending on our current press schedule.